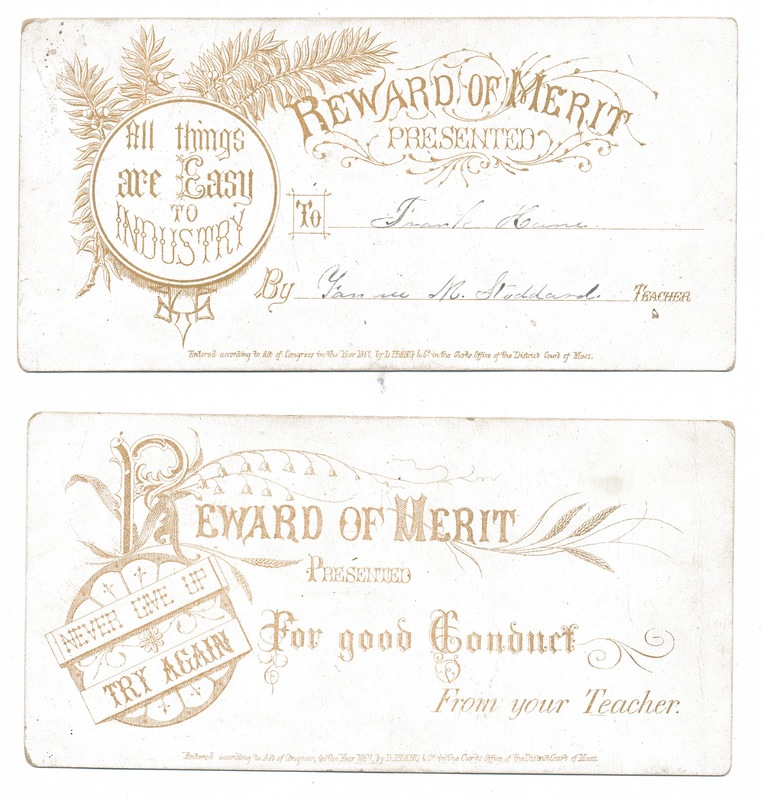 Two cards, presented by a teacher to their student. Cards are dated 1867 at the bottom. 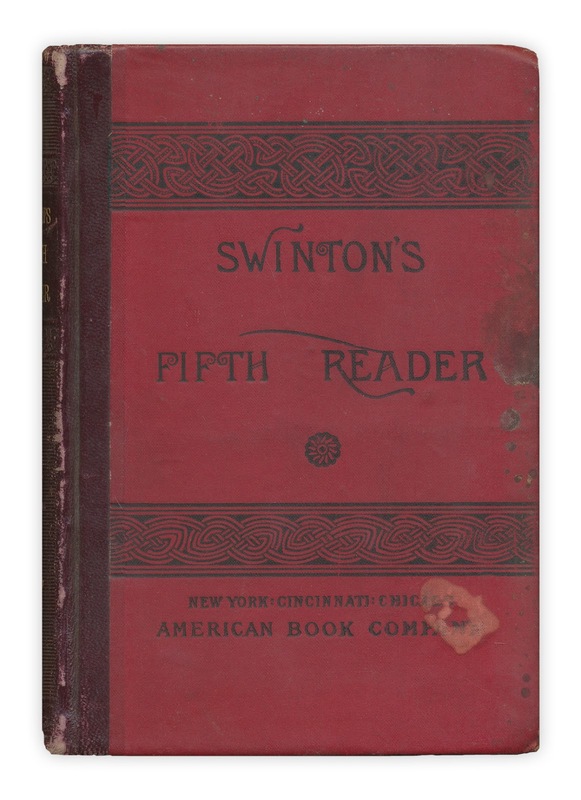 Found in "Swinton's Fifth Reader" published by the American Book Company, 1883. I loved this one. It is such a wonderful example of ephemera and social history. thanks for posting it.